Any complaints about items or sellers may be sent to our support team: support@biketexas.org or 512-476-7433. There is no guarantee of a resolution. Each case will be looked at individually, and the seller will be in contact as well. For and in consideration of the loan of property to Recipient, Recipient does hereby release, acquit, and forever discharge BikeTexas from any and all claims or causes of action of any kind whatsoever, at common law, statutory or otherwise, which the undersigned Recipient has or might have, known or unknown, now existing or that might arise hereafter, directly or indirectly attributable to the above described agreement or Recipient’s use, possession, operation and return of the loaned property, it being intended to release all claims of any kind which the undersigned Recipient might have or might hereafter acquire against those hereby released. $500.00 for bicycle, $15.00 for helmet, $25.00 for lock, $10.00 for kickstand, $5.00 for headlight, $5.00 for tail light, $5.00 for bell. 1. 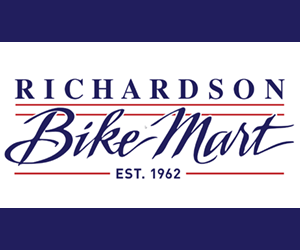 I acknowledge that bicycling entails known and unanticipated risks which could result in physical or emotional injury, paralysis, death, or damage to myself, to property, or to third parties. I understand that such risks simply cannot be eliminated without jeopardizing the essential qualities of the activity. 3. I hereby voluntarily release, forever discharge, and agree to indemnify and hold harmless Texas Bicycle Coalition / BikeTexas from any and all claims, demands, or causes of action, which are in any way connected with my participation in this activity or my use of Texas Bicycle Coalition / BikeTexas’s equipment or facilities, including any such Claims which allege negligent acts or omissions of Texas Bicycle Coalition / BikeTexas. 4. Should Texas Bicycle Coalition / BikeTexas or anyone acting on their behalf be required to incur attorney’s fees and costs to enforce this agreement, I agree to indemnify and hold them harmless for all such fees and costs. 5. I certify that I have adequate insurance to cover any injury or damage I may cause or suffer while participating, or else I agree to bear the costs of such injury or damage myself. I further certify that I have no medical or physical conditions which could interfere with my safety in this activity, or else I am willing to assume – and bear the costs of — all risks that may be created, directly or indirectly, by any such condition. 6. In the event that I file a lawsuit against Texas Bicycle Coalition / BikeTexas, I agree to do so solely in the state of Texas, and I further agree that the substantive law of that state shall apply in that action without regard to the conflict of law rules of that state. I agree that if any portion of this agreement is found to be void or unenforceable, the remaining portions shall remain in full force and effect. I hereby grant Texas Bicycle Coalition / Texas Bicycle Coalition Education Fund (henceforth known collectively as “BikeTexas”) permission to use my likeness in a photograph in any and all of its publications, including website entries, without payment or any other considerations. I understand and agree that these materials will become the property of the BikeTexas and will not be returned. 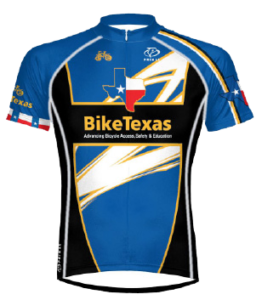 I hereby irrevocably authorize BikeTexas to edit, alter, copy, exhibit, publish or distribute this photo for purpose of publicizing BikeTexas’s programs or for any other lawful purpose. In addition, I waive the right to inspect or approve the finished product, including written or electronic copy, wherein my likeness appears. Additionally, I waive any right to royalties or other compensation arising or related to the use of the photograph. I hereby hold harmless and release and forever discharge BikeTexas from all claims, demands and causes of action which I, my heirs, representatives, executors, administrators, or any other persons acting on my behalf or on behalf of my state have or may have by reason of this authorization.